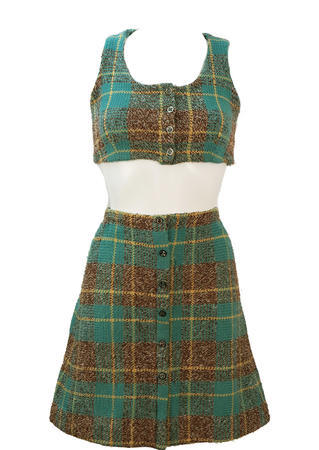 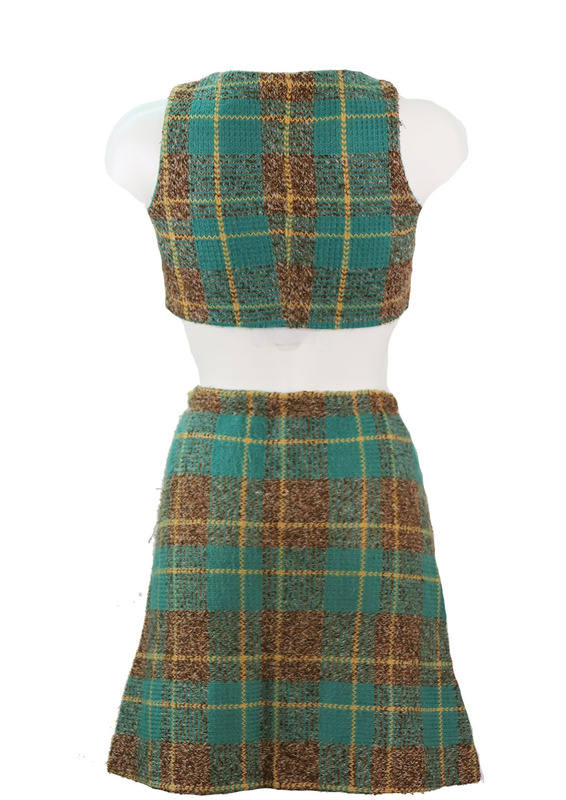 Vintage 1960’s very distinctive two piece consisting of a cropped top and A-line mini skirt with a striking check tartan pattern in colourways of turquoise blue & mottled brown with yellow highlights! 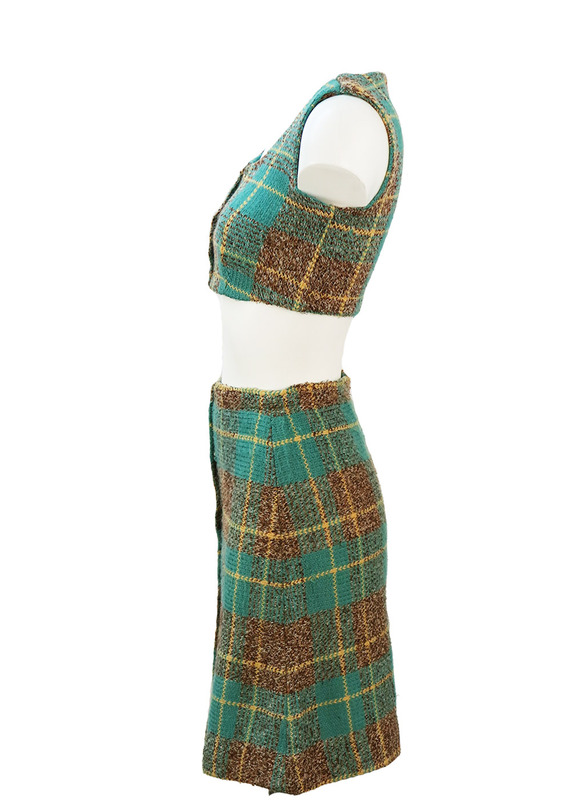 It appears that the two piece has been tailor made and therefore has no fabric label, however it has a wool or part wool feel to it. 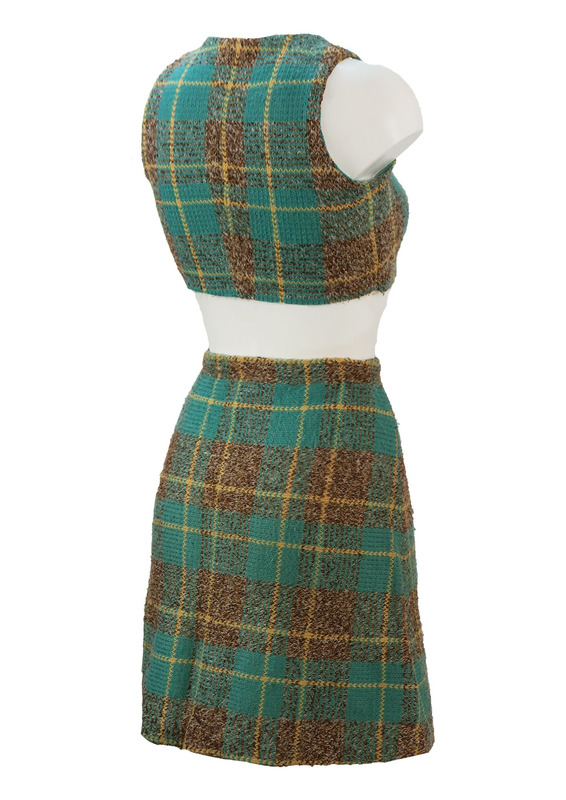 Skirt – 19", Top – 12.5"